Printing your photographs used to be quite a challenge—depending on their format and resolution, your pictures might be printed in different sizes or in different orientations on the page. 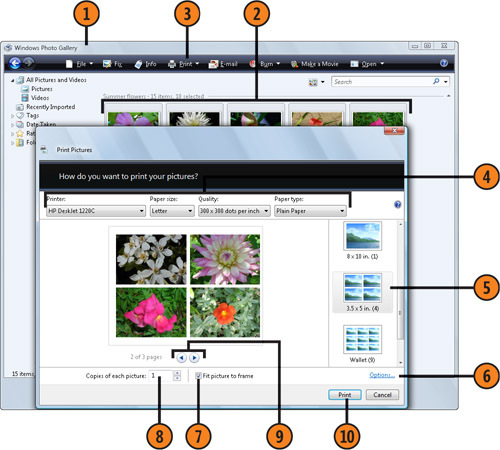 Windows Vista now makes your life a lot easier by providing a wizard that lets you lay out the pictures just as you want them, so you get exactly the desired results every time. 1. Start Windows Photo Gallery from the Start menu. 2. Select the photograph you want to print. If you want to print multiple photos, be sure to select all of them. 3. Click Print, and choose Print from the drop-down menu to display the Print Pictures dialog box. 4. Select your printer and the printer settings you want. The printer settings will differ depending on which printer you chose. 5. Select the layout you want. 6. Click to display the printer’s Properties dialog box if you want to make additional printer settings. 7. Select this check box to enlarge or crop the photo to the specified size. 8. Specify the number of copies you want of each photo. 9. Look at the preview to verify that the pictures will be printed the way you want. 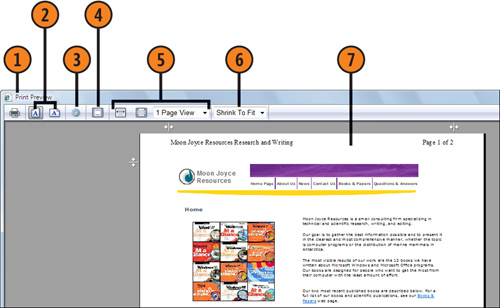 Use the arrows to view all your pages. 10. Click Print to print the photos. To send your pictures over the Internet to a photo-printing service, click Print in the Windows Photo Gallery, and choose Order Prints from the drop-down menu. If you’ve ever visited a Web page whose content you found so interesting or informative that you wanted to print it out for yourself or for someone else to read, the printed result might have been less than satisfactory—odd-looking pages filled with cut-off text, for example, and an indecipherable hodgepodge of disconnected graphics, tables, frames, and text. However, using Internet Explorer, you can now convert Web pages into a printable form. All you need to do is specify how you want the pages to be set up, take a quick look at the layout to make sure it includes the items you want to print, and then print the pages. 1. With the Web page you want to print displayed in Internet Explorer, click the down arrow at the right of the Print button, and choose Print Preview from the drop-down menu to display the Print Preview window so that you can preview the page. 2. Select the orientation you want for the printed page. 3. If you want to change the paper size, paper source, header and footer information, or margins, click the Page Setup button to display the Page Setup dialog box. To change the contents of the header or footer, use the codes in the table on this page. Click OK when you’ve finished. 4. Click to specify whether you want to show or hide the header and footer. 5. Click to adjust your view of the page or pages. 6. Select the scaling to fit the material onto the printed page. Select Shrink To Fit to automatically scale the page so that the entire width of the Web page is included, or select a scaling value for a custom fit. 7.  Examine the layout based on your changes, and then click Print to print the Web page, or click Close to return to the normal view without printing the page. &b your text Right-aligns text. &b your text &b Centers text. &d or &D Inserts short date or long date. &P Inserts total number of pages. &t or &T Inserts time in 12- or 24-hour format.